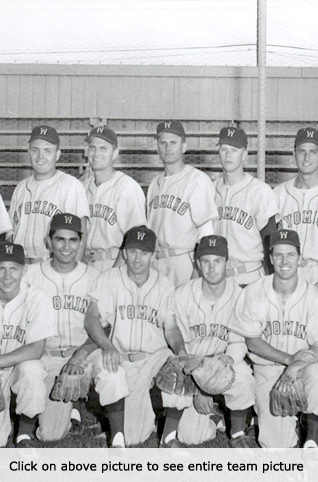 The College World Series in 1956 was the culmination of the rise to national prominence by the Wyoming baseball program. Much of this group had won three straight Skyline Conference Championships, and had participated in the NCAA Regional finals in 1954 and 1955. At the time, the World Series was a much more exclusive championship with only eight teams qualifying at the end of each collegiate season. This Wyoming team went to Omaha with just 16 players in uniform, unique in that the other seven teams traveled 25-man rosters. But this group represented the brown and gold in tremendous fashion. After losing to eventual national champion Minnesota, 4-2, in the opening game, the Cowboys rebounded to defeat New York University. The Pokes then lost to Bradley in their final game. 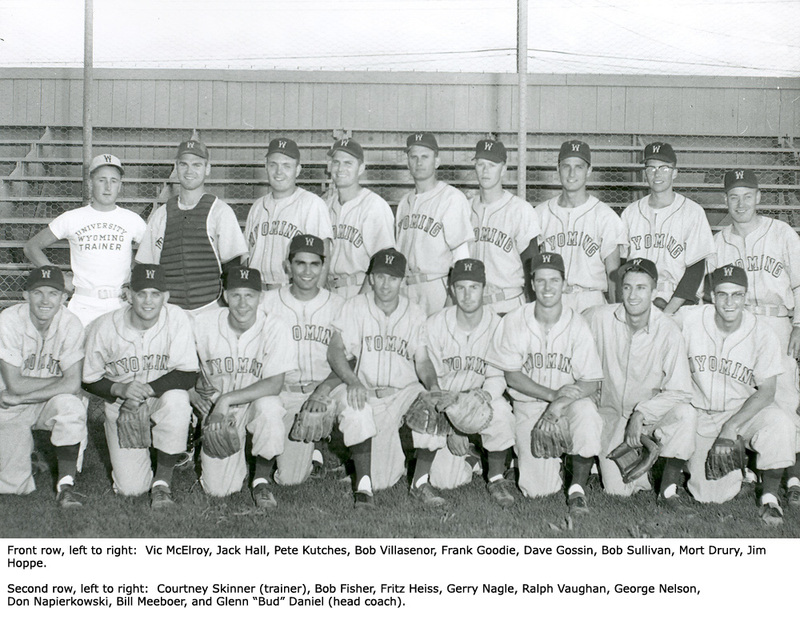 The team boasted of an All-American, outfielder Don Napierkowski, and five All-Regional selections, Napierkowski, first baseman Fritz Heiss, shortstop Gerry Nagle, outfielder Bob Sullivan and pitcher Ralph Vaughn. The success of this team led to the development and completion in 1963 of the baseball complex and Cowboy Field, Wyoming’s baseball home for over 30 years. It is fitting that this team was inducted into the Hall of Fame on the 50th anniversary of its trip to the College World Series.